|p.A058| 03 Formats| Design: FL@33 | Project: Trans-form | Size: 497 x 320mm | Pages: 32 | Year: 2001 | Origin: UK | Produced as a special magazine-style project, the work shown in this piece is all based around a series of images of cranes and the construction process. The large scale of the project helps to create dramatic contrasts from spread to spread. The inclusion of a CD, housed in a clear plastic wallet that is bound into the spine, reinforces this contrast of scale. |p.A058| 03 Formats| Design: FL@33 | Project: Zwischenstation / Coup de Grace | Size: 225 x 155mm | Pages: 60 loose sheets | Year: 1997 | Origin: Germany | The work of two very different poets is housed within this special double-fronted cover / folder. Their distinct styles are clearly illustrated; the expressive energy of Bartosz Maj's Zwischenstation cover is in complete contrast to the understated simplicity of Gernot Heinkelein's Coup de Grace front. These two very different typographic styles are continued throughout the loose-leaf pages of their respective books. 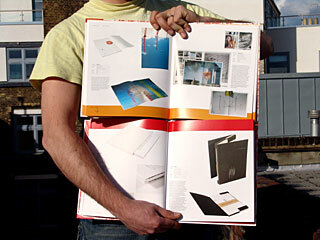 ___ Produced as a strictly limited edition of just 100 copies, the book has a strong craft feel to it. The cover is embossed and printed in white letterpress ink, and the loose sheets are held in order with a simple bellyband. The decision not to bind the pages allows readers the freedom to explore the books in any order, and removes any linear narrative from the different poems. ...Experimental Formats, bringing the subject bang up to date. 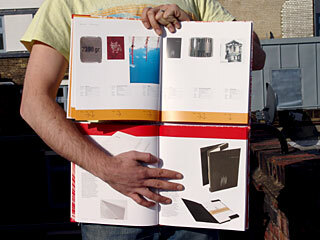 It explores every aspect of designing the printed form, from single page to commercial package. Case studies of professional work celebrate the healthy tradition for experimentation in this field, showcasing projects that stand out on their physical merits alone. ___ Looking at proportions, formats, materials, printing, folding and binding, Experimental Formats 2 offers designers an awe-inspiring selection of inspirational new ideas for practical application. It also explores exciting material innovations such as tear-proof “plastic”, paper, and PVC, gelling agents, luminescent inks, concertina folds, single-screw and press-stud binding, among its many treasures. With its definitive glossary of terms, this is an indispensable guide and inspiration for the future of two- and three-dimensional print and graphic design. ___ Experimental Formats 2 is itself published as an innovative, multi-hinged hardback book, making it a real collector's edition. 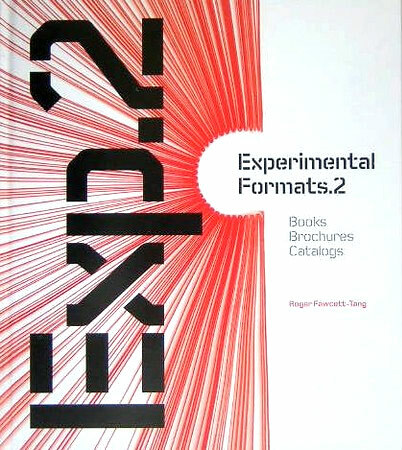 | Paperback re-issue: Experimental Formats 2 collects together innovative books, brochures, and catalogs featuring the most diverse ideas used in publications of every description. Today, printed matter needs to work harder than ever before. In the ever-increasing struggle to command consumers’ attention, adding value has become the weapon of choice, and in this battle alternative formats, folding, binding, and printing methods will bring you success. 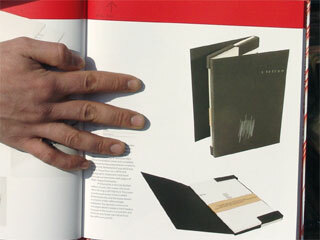 The book examines every aspect of designing the printed form, from single page to commercial package. Case studies of professional work celebrate the healthy tradition for experimentation in this field, showcasing projects that stand out on their physical merits alone. ___ Looking at proportions, formats, materials, printing, folding, and binding, Experimental Formats 2 offers designers an awe-inspiring selection of inspirational new ideas for practical application. 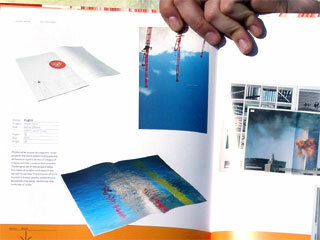 It also explores exciting material innovations such as tear-proof “plastic” paper and PVC, gelling agents, luminescent inks, concertina folds, single-screw and press-stud binding.The eye-catching publications in this book range from lavish, big-budget productions to small-run, two-color leaflets. All have one thing in common—they push boundaries and show a different way of thinking, without losing sight of the client’s wishes.